You deserve a well-stocked kitchen. 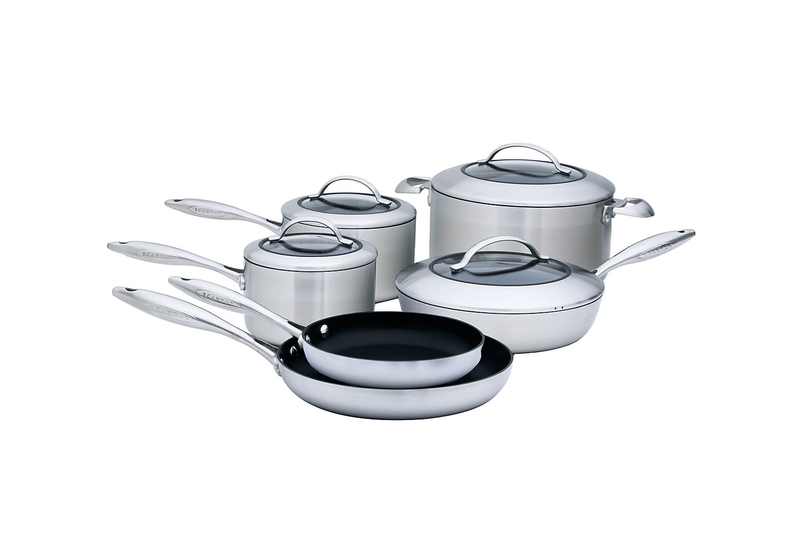 A Scanpan CTX 10 piece nonstick cookware set is the perfect choice. Each saute pan, fry pan or sauce pot or Dutch oven in this 10 piece non-stick cookware set provides you with fast, even heating. Scanpan CTX cookware set is induction compatible and constructed with 5 layers of 18/10 stainless steel and aluminum alloy for durability and performance. It's PFOA-free, in the Scanpan manufacturing process as well as in the final product. Plus Scanpan is made from 100% recycled aluminum.